This part of the series will be slightly different comparing to the previous ones. Today I'd like to show you some aspects of sky shaders from The Witcher 3. Why some "stupid tricks" instead of full shader? Well, there are a few reasons. First of all, sky shader in The Witcher 3 is quite a complex beast. 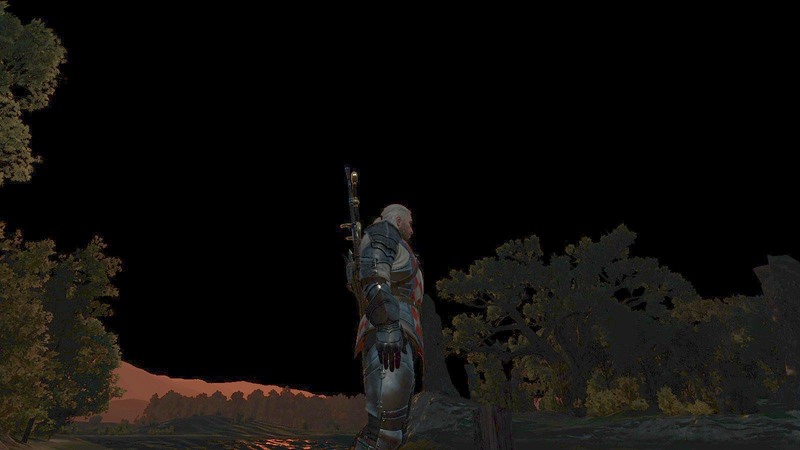 Pixel Shader of 2015 version has 267 lines of assembly while PS from "Blood & Wine" DLC - 385. Moreover, they have quite a lot of inputs which doesn't really help in struggles to reverse engineer complete (and readable!) HLSL code. Therefore, I decided to show you some tricks from these shaders only. If I find anything new, this post will be updated. The differences between 2015 version of the game and B&W (2016) addon are quite notable. This includes, for instance, different calculation of stars and their blinking, different approach to rendering of the Sun... 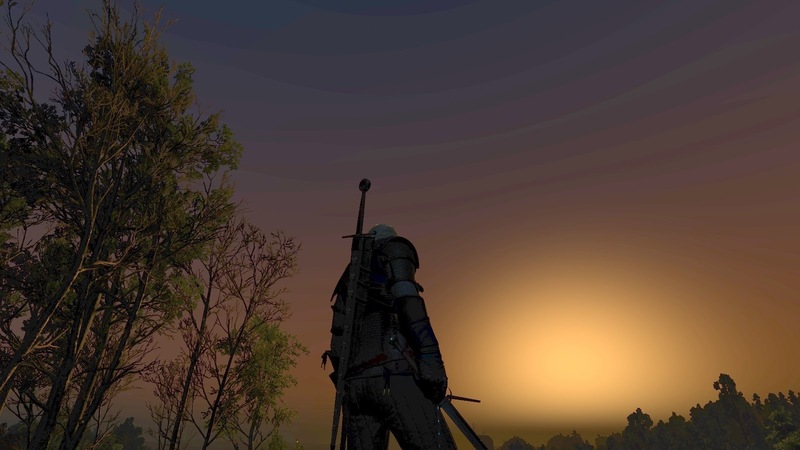 Blood & Wine shader also calculates Milky Way during the night. I'll start with some basics and switch to stupid tricks later. 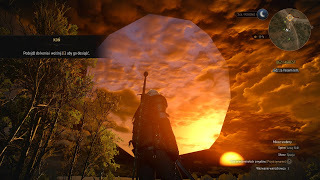 As most of modern video games, The Witcher 3 uses skydome to represent sky. Take a look at hemisphere used for this in The Witcher 3 (2015). On a side note, in this case bounding box of this mesh ranges from [0,0,0] to [1,1,1] (Z is up-axis) and has smoothly distributed UVs. We'll use them later. The idea behind skydome is similar to skybox (mesh being used is the only difference). 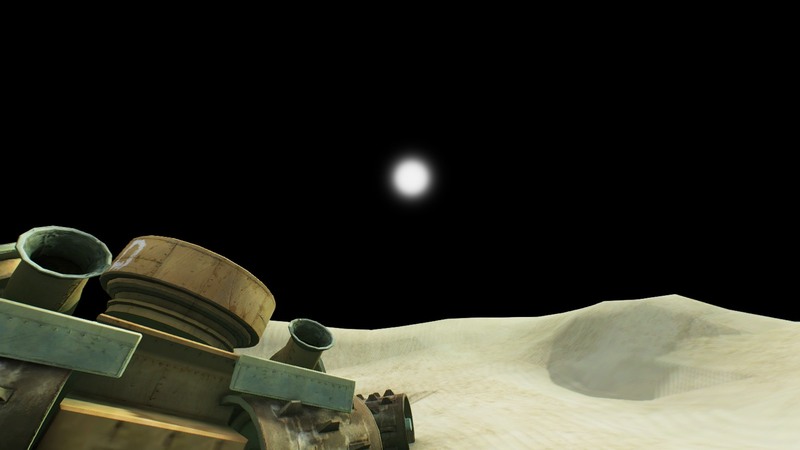 During vertex shader we translate a skydome with respect to observer (usually by camera position) which gives an illusion that sky is really far away - we'll never go there. To learn how MinDepth and MaxDepth fields are used during viewport transform click here (docs.microsoft.com). In this scenario VS outputs only texcoords and world-space position. In Blood & Wine it also outputs normalized normal vector. I'll stay with the 2015 version as it's simpler. Here we have world matrix (uniform scaling by 100 and translation by camera position). Nothing fancy. cb2_v4 and cb2_v5 are scale/bias factors which serve to transform positions of vertices from [0-1] range to [-1;1] one. But here, in terms of Z-axis (up) these coefficents will 'squeeze' it. We have already seen similar VS in previous parts of the series. The general algorithm is to pass texcoords further, then calculate Position with scale/bias factors, then calculate PositionW in world space, then calculate final clip space position by multiplying matWorld and matViewProj matrices together -> use their product to multiply with Position to get final SV_Position. // Local space - note the scale+bias here! Do you see a problem with the original vertex shader? Per-vertex matrix-matrix multiplication is completely redundant! I found it in at least few vertex shaders (for instance, in distant rain shafts). We could optimize it by multiplying PositionW with matViewProj immediately! 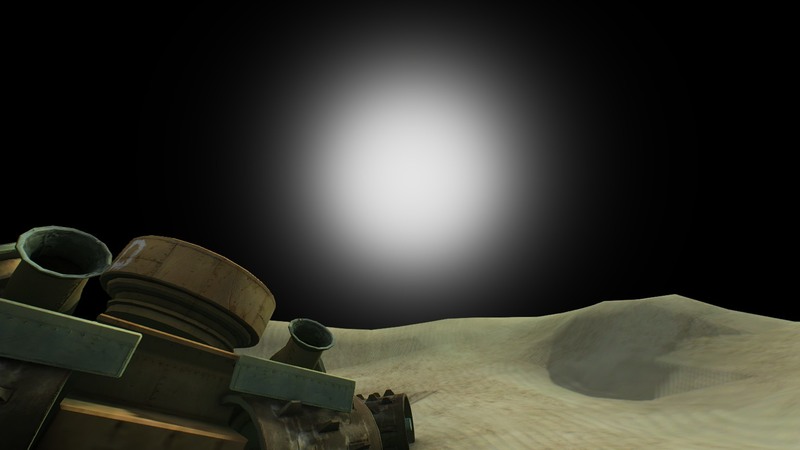 Rendering the Sun in 2015 version is pretty similar to the Moon in terms of geometry and blend/depth states. Normally you calculate sunlight direction in your application, then pass it to constant buffer for further use. Okay. To start, cb12.xyz is a position of camera, while in r0.xyz we store vertex position (it's an output from vertex shader). Therefore, line 100 calculates worldToCamera vector. But take a look at lines 105-107. We could write it as normalize( -worldToCamera), which means we calculate normalized cameraToWorld vector. Then we calculate dot product between cameraToWorld and sunDirection vectors! Remember they have to be normalized. Also we saturate whole expression to clamp it within [0-1] range. Having this gradient, we use it to interpolate between skyColor and sunColor! To make sure there will be no artifacts we had to saturate in line 120. Please take a note that this trick can be used to mimic corona phenomenon for the Moon (with lower values of the exponent). For this you will need moonDirection vector - which can be easily calculated with spherical coordinates. If you would make a timelapse during the night on a clear sky in The Witcher 3 you would notice that stars are not static - they slightly move across the sky with time! I noticed this quite accidentally and wanted to see how this was done. Let's start with fact that stars in The Witcher 3 are represented with 1024x1024x6 cubemap. If you think about it, it's very handy solution as it easily allows to map directions to sample the cubemap. To calculate final sampling vector (line 173), we start by calculating normalized worldToCamera vector (lines 159-162). Note to self: This is really well-thought and I definitely have to investigate it in more details. Note to readers: If you know more about this operation, let me know! Another nice trick I wanted to investigate in more details is blinking of stars. 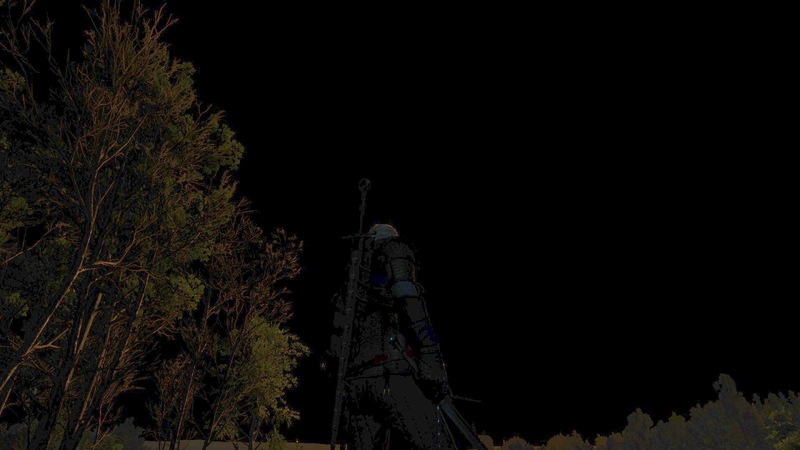 If you walk around, let's say, outskirts of Novigrad City and sky is clear you can notice that stars are blinking. I was curious how this was implemented. 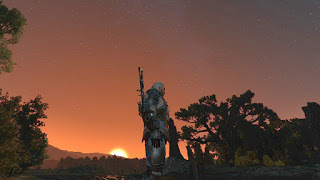 So the difference is quite big between the 2015 version and Blood & Wine. For simplicity I'll stay with 2015 version. Huh. Let's take a look at the very end of this quite big piece of assembly. Once we sampled starsColor in line 173 we calculate some offset value. This offset is used to perturb first sampling direction (r2.xyz, line 235), then we sample stars cubemap again, perform gamma correction on these two values (237-242) and multiply them together (243). Simple, isn't it? Well, not really. Think about this offset for a while. It must be different across whole skydome - stars blinking the same way would look very unrealistic. To make sure that offset will be as diverse as possible we will take advantage of UVs wrapped across skydome (v0.xy) and elapsed time from constant buffer (cb.x). If you are unfamiliar with this intimidating ishr/xor/and thing, take a look at lightnings effect to learn more about integer noise. So as you can see, integer noise is called here four times, but it's different now comparing to lightnings. To make results even more random the input integer for noise is a sum (iadd) and reversing bits is performed (reversebits instrinsic; bfrev instruction). Okay, easy now. Let's start from start. Once we have starsColorDisturbed, the hardest part is over. Phew! This is much, much easier comparing to blinking and moving stars. So we start with raising starsFinal to power of 2.5 - this allows to control density of stars. Pretty clever. Then, we make sure the maximum color of stars is float3(1, 1, 1). cb0.w is used to control general visibility of stars. So in daytime expect this to be set to 1.0 (which yields in multiplying by zero) and 0.0 during nights. In this post I presented some cool tricks I found while investigating sky shader from The Witcher 3. I hope you enjoyed it. Thanks for reading!